Even if the use of overbends has significantly grown over the last thirty years, many harmonica players willing to leverage the potential of their favorite instrument are still concerned about these techniques. A plethora of information is available on the internet and some tutorial books at last dare to address this topic. Unfortunately, some are a bit tricky when it comes to the details of the ways to get these overbends. Generous but also wacky advices sometimes let the player stuck and frustrated. Then, the vast majority of players go back to the setting phase, the so called necessary stage to get through before getting any overtone. But as the information on settings is somewhat confusing, this can make things even worse and reinforce the thought that these additional notes are very difficult to get. 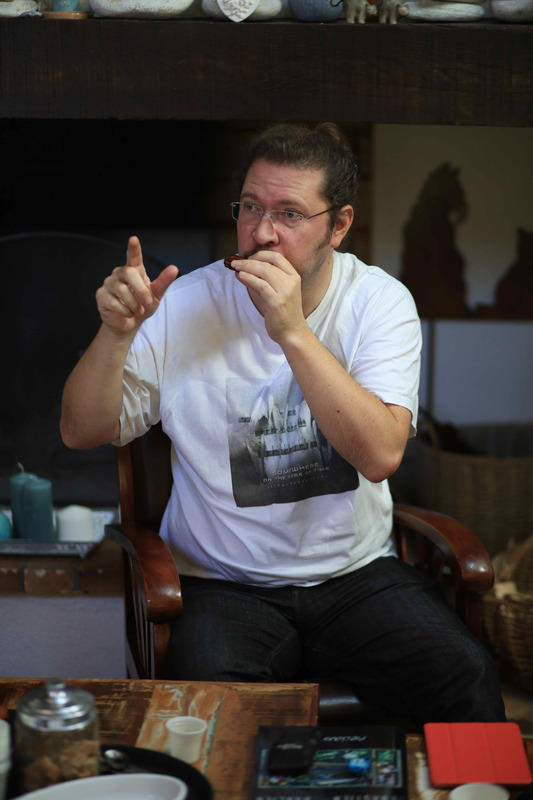 However, learning the right technique ensure you can get overbends on any kind of harmonica, including low cost ones! To figure out what is technically at stake, just remember one thing : bending IS already playing an overbend ! It seems consistent to say that the drew reed sounds as the player draws and tries to bend the natural note. Same thing for any blew reed when the player wants to get a blow bend. Not at all…. One can only get the inflexion (beyond a semitone with the same reed (blew or drew) than the natural note. However, some very airtight harmonicas allow to get a full semitone that way : by lowering the vibration of the drew or blew reed without triggering the opposite reed ; the timbre of this note will be similar to « valved bends ». As soon as the bend hits the right note, the opposite reed vibrates and takes over, while the other reed (supposed to be played) vibrates less and less, according to the intensity of the bend. We must highlight the two exceptions (our two “valved” bends with no valve 🙂 ) in 3′ and +10″, where the sound is obtained thanks, respectively, to the draw and blow reed. In these two cases, the opposite reed doesn’t create the sound and thus these are the two bends that are the most different in terms of tone from the other bends. A minimum homogeneity can still be achieved thanks to technique. Then, it is absolutely possible to get a draw 4 bend by completely blocking the draw reed (by putting a finger on the reed or by taping it or even by changing the angle of the reed in order to block the air flow). To summarize, the usual bend (except fo the 3′ and the +10″) is a kind of overbend, except that, when playing an overblow or an overdraw, one of the two reeds is really blocked (which is « nearly » the case when an usual bend is played). • Overbends can be played exactly like an opposite « regular bend». • Only one tongue position is needed to get the one or the other according to the air flow. For example, a 6 overblow and a draw 6 bend are two different notes that only need one tongue position. • This is why an overbend is supposed to produce the same timbre than an usual bending since the same physical principle is applied. • If you use anything else than your tongue to bend (jaws, harp position, throat…), you will probably have to find another technique to get the overbends, unless you’re ok with different timbres. Now, it’s time for you to check how you bend natural notes on your harmonica ! Of course, you’ve been bending for a while and you don’t even remember how the hell you’re doing it. Try to put together all the single elements you think you’re using to bend, on the three octaves of your instrument. Do you angle the harmonica? Do you inflate or deflate your cheeks ? Do you set your jaws down ? Do you tighten your throat to get some sounds ? Do you use tongue blocking while you bend ? So, what happens exactly into your mouth, can you clearly feel where your tongue is according to the note you want to play ? Important : there is only one technique that allows to get an overbend exactly as the opposite bending ! In other words, if you can’t get a 6 overblow using your 6 draw bend technique (without changing the position of your tongue, just by reversing the air flow), you still have to work and improve your technique. Same for all the bent notes…. • Just focus on the accurate position of your tongue, not on the way your tongue moves inside your mouth. Every time the position is accurate, no doubt you’ll get an accurate sound. • What is really at stake is to remember these accurate positions for each note you’ll have to play. And remember there are only 4 tongue positions that provide all the notes of your harmonica. • Reed setting needs to be considered for both bends and overbends. • The « good » setting provides an additional comfort to your playing, whatever the notes are. There is no point in getting a “closed” setting for overbends and an “open” setting for rhythmic and dynamic playing. An appropriate setting provides a strong and chromatic playing, but you still have to play using the lower part of the air column. • Even if you still feel comfortable in playing « regular » bends, setting up the tilt angle of the reed makes overbends and even regular bends easier to play. • Realign reeds (to avoid putting varnish on the first two octaves). You may also put some nail polish or beeswax to avoid unpleasant noises (only at the intersection of the rivet and the base of the reed, not on the reed itself, you would modify the pitch of the note). • Tune again the reeds if needed. You need to move your tongue forward. You can still slightly move up the tip of your tongue to higher the pitch, including on the “usual” bends. Sometimes, the whole tongue is too far backwards. It is usual that the medium octave draw bends sound too low, so the overblows sound to low too. You need to move your tongue backward and block the air flow by lowering the pressure. Playing too strongly change both the pitch and the timbre of the note. Do not forget you have to use the same tongue position as the one you use to play a blow bend in the highest range of your harp. To play overbends on the lower octave (and on the low tuned harmonicas), you need to use the medium back part of you tongue. You need to feel something almost guttural, and emulating how Darth Vader breathes will drive you straight to get a 1 overblow. Do not underestimate the Force ! Realigning reeds will help to let only one reed triggering when an appropriate pressure is delivered. However, it’s simpler and quicker (but not more efficient) to put some varnish ont specific places. Technique may help for one second, but it cannot prevent the reed to squeal if you hold the note a bit longer. Most players asking this question have played harmonica for years without overbending. First, you need to make a connection between octaves. At the end of the day, a 6 overblow is draw 3 bended once, and a 7 overdraw is a draw 1 or 4 bended once on the higher octave…Then it’s quite easy to incorporate these « new » notes in your playing since the harp player has been already playing these notes elsewhere on the harmonica for a while. Second, new images, new patterns arise, thanks to all these new sounds. I can play overbends, but I don’t like how they sound…. Usually, the timbre of an overbend is unpleasant as the timbre of a regular bend is unpleasant too, or when the player can’t really play these overbends. Too much pressure and a poor technique, and you get the usual sound of the 80/90’s overbends (remember the pioneers were happy enough to hit the notes, even if their overbends didn’t sound great…). Overbends should sound like regular bends, the more you’ll practice regular bends, the faster you’ll get nice sounding overbends and vice versa. Nice sounding overbends are really easy to get as you get them exactly as you get the opposite bends. Even a slight change in the way you play may prevent your playing to keep fluid and homogeneous over the different keys. • Trying to imagine the sound that is to be produced may help. But it’s often enough to memorize the accurate tongue position : then it’s only about managing appropriate pressure, nothing more than this. • The more you provide air pressure, the more likely you will fail. The word « overbend » doesn’t mean you have to blow or draw over the adequate level. Appropriate settings provide comfort and help making you feel that the opposite bend uses the same tongue position. Once you find the accurate tongue position, you will be able to play overbends even if you use an open setting.